As the sun finally shows its face and the temperatures rise, it’s good to put away those walking trousers and give your legs an airing in a pair of shorts. All 13 pairs in our extended test have been designed specifically for walkers and outdoor enthusiasts and should dry quickly if they get wet, hinder movement as little as possible and add to your enjoyment of a summers’ day on the hills. It’s great to feel the freedom of unencumbered legs while the summer months are with us. Many are also suitable for trekking in warm countries and have features such as s UV protection rating. So make the most of summer and pull on a pair of shorts while the sun shines. 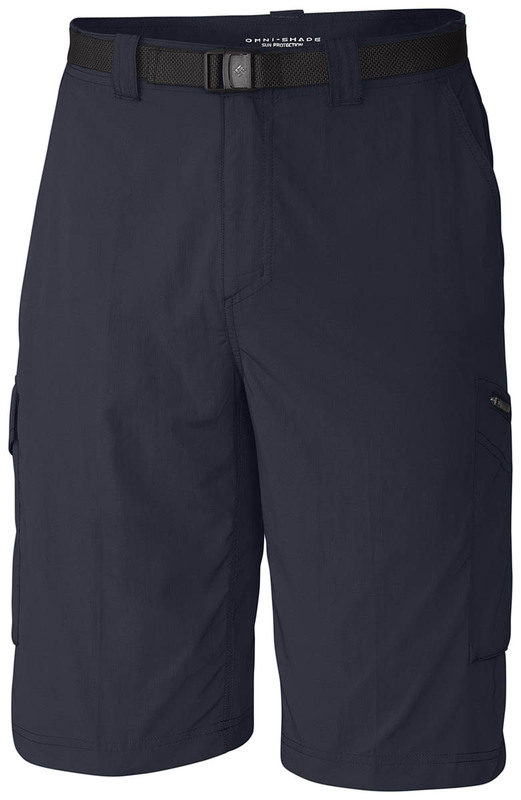 The Berghaus shorts, in common with many in the test, look and feel like cotton shorts but are actually 100 per cent nylon and have a durable water resistant finish so will cope with an odd shower. They are fairly loosely cut, and didn’t hinder high steps particularly. The legs are fairly long, reaching almost to the knee. There are two mesh-lined, unzipped hip pockets, the right-hand one having a small pocket within it, handy for coins. There is one zipped rear pocket and the shorts also have a large thigh pocket, with both an outer, zipped compartment and an open pocket which is big enough to slip an Ordnance Survey map into, or even a drinks bottle, though that means it will knock on your leg with ever step. The shorts have a sun protection factor of 50+, which makes them a useful piece of kit to pack if you’re heading for sunnier climes, or even tackling a UK long-distance route and are optimistic you’ll see plenty of sunshine. The Explorer ECO shorts are part of Berghaus’s Ecowoven range, produced using less water and energy, with pre-coloured yarn to reduce the dyeing process. Berghaus also says colours stay bright for longer and resist fading with washes. The Explorer ECO shorts performed well in our walks on home territory and will serve well in warmer climates too. A zipped compartment in one of the hip pockets would be a useful addition to make sure gadgets such as mobile phones are kept safe. The Diamond Creek Shorts are simple and stretchy and designed with climbers and boulderers in mind, but we found them comfortable on walking trips too. They hug the body a little more than some of the other brands’ shorts and offer very good freedom of movement, as you would expect from a climbing brand, on scrambly sections or even just getting over stiles. 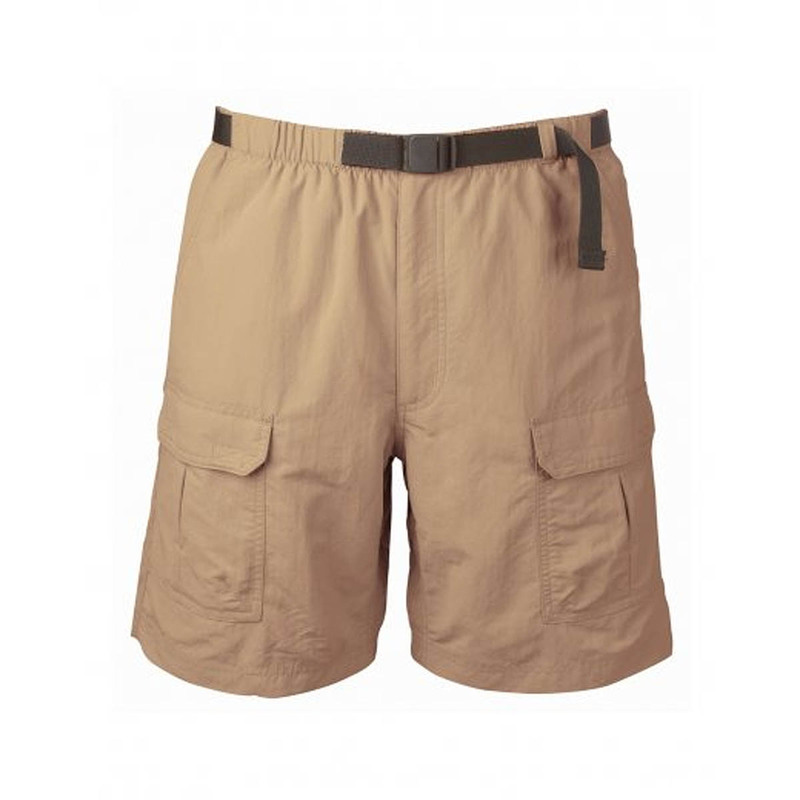 In keeping with the simple design, the shorts have two hip pockets without closures, the right-hand one of which has a small coin or key pocket. The two rear pockets don’t have zips either. We feel the addition of a zip on one pocket would give a little security for carrying that mobile phone that most of us have these days, without adding too much to the weight of these, the lightest pair in the test. The Diamond Creek Shorts feel good in use and their stretchy fabric allow great freedom of movement and comfort. 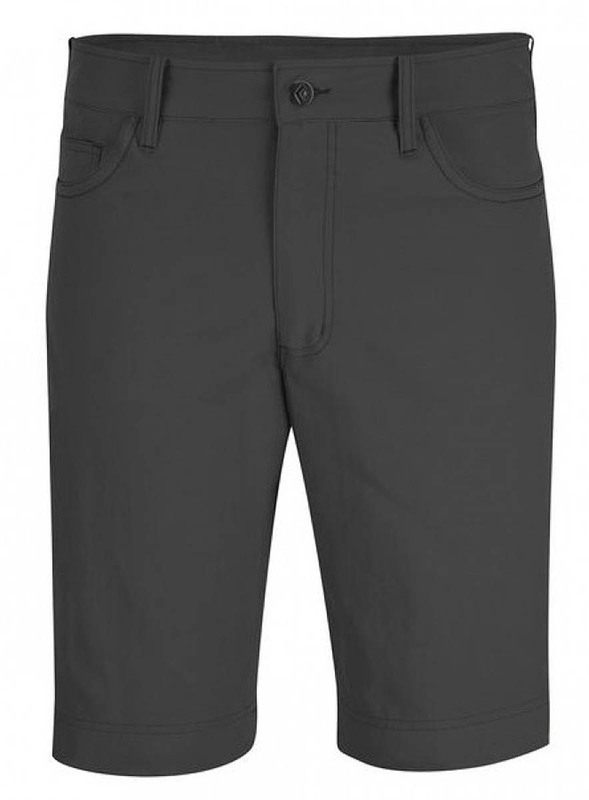 The Silver Ridge Cargo Short is traditionally styled and will suit both those heading for the hills in summer or for those with warmer climes in mind. The shorts have two mesh-lined hip pockets, plus two cargo pockets on the side of the thigh, one with a zip closure, the other with Velcro. There are also two back pockets with flaps and Velcro closures. The fabric is Columbia’s Omni-Wick and were cool in use on warm days. There is also 50 UV sun protection. The waistband is part elasticated and the shorts also come with a belt, which is a bonus. 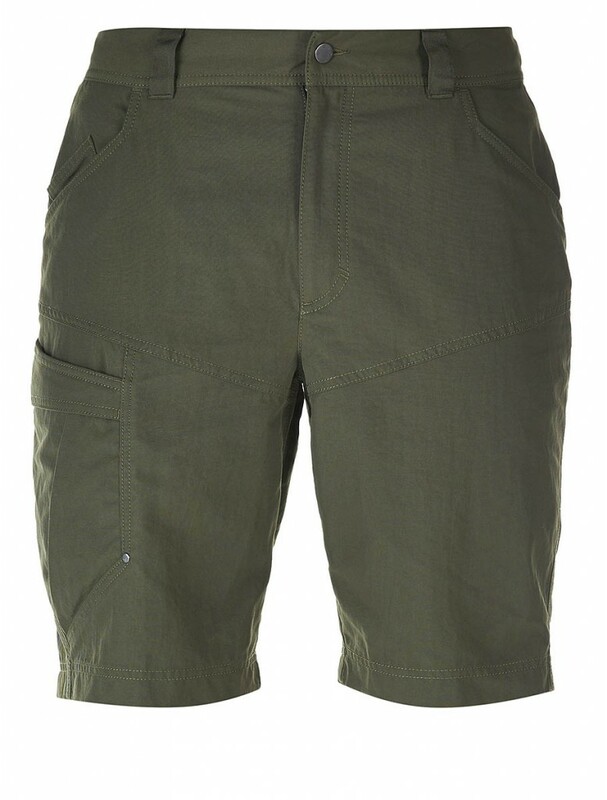 The Silver Ridge Cargo Short was comfortable in use and didn’t restrict movement on the hill. The Craghoppers Kiwi Trek are a traditional design, slightly shorter in the leg than some of the others in the test. They win the pocket competition hands-down. There are eight, five of which, the two rear pockets, hip pockets and the outer opening of the cargo pocket, have zips, so everything is secure. Within the cargo pocket on the outside of the right thigh is a smaller elasticated pocket you can slip your mobile phone into. Though the fabric contains a big proportion of cotton, which is good for keeping you cool, it is treated with the company’s Smart Dry water repellent, and we didn’t experience any great difficulties in summer showers. The shorts also have Solar Shield offering UV protection of 40. The waistband has an expending elasticated section and there are belt loops. In use, the Kiwi Trek Shorts were comfortable though not quite as good as some at allowing high leg movement. 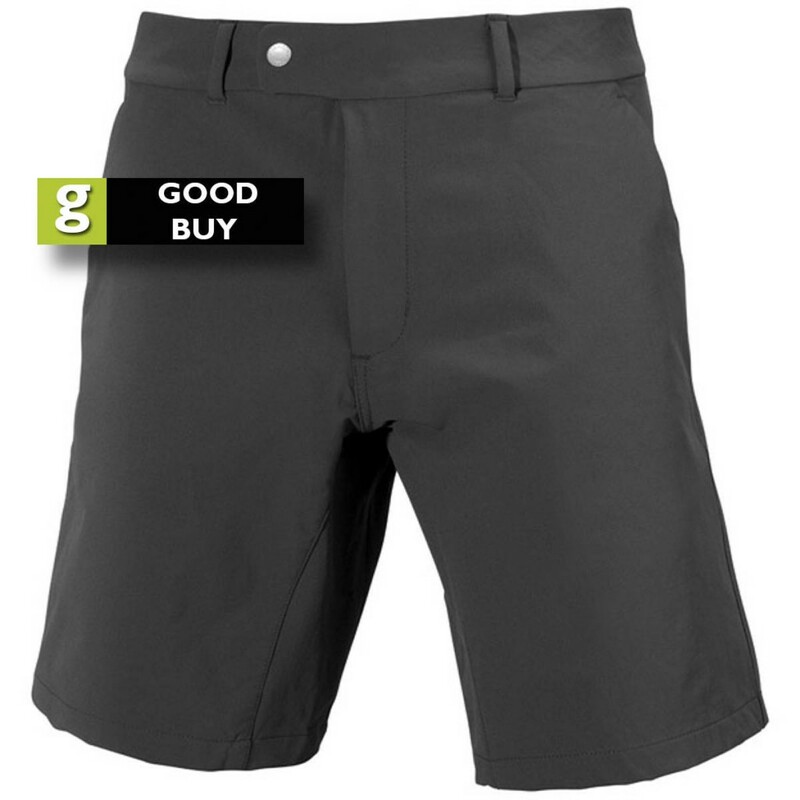 The shorts are good all-rounders and are happy on the hill or on the trek in warm climates. The Costa shorts are made from a stretchy, body-hugging material that allows good freedom of movement. The Didriksons offering is a little shorter in the leg and is a simple design with nice styling. There are twin hip pockets, with no closure and two zipped back pockets. The Costa shorts have a PFC-free durable water-resistant finish and dealt well with summer showers. The Didriksons Breeze system means the shorts are windproof. The simple design worked well on the hill, with good comfort allowing easy movement over difficult ground. A zipped pocket for that valuable mobile phone would be useful. There is a metal loop towards the back of the waistband to which you can attach a carabiner or similar for a piece of gear you need to keep close to hand. The Costa shorts are nicely styled, comfortable shorts. The Abisko shorts are an interesting and attractive design, with Scandinavian, slightly retro styling. 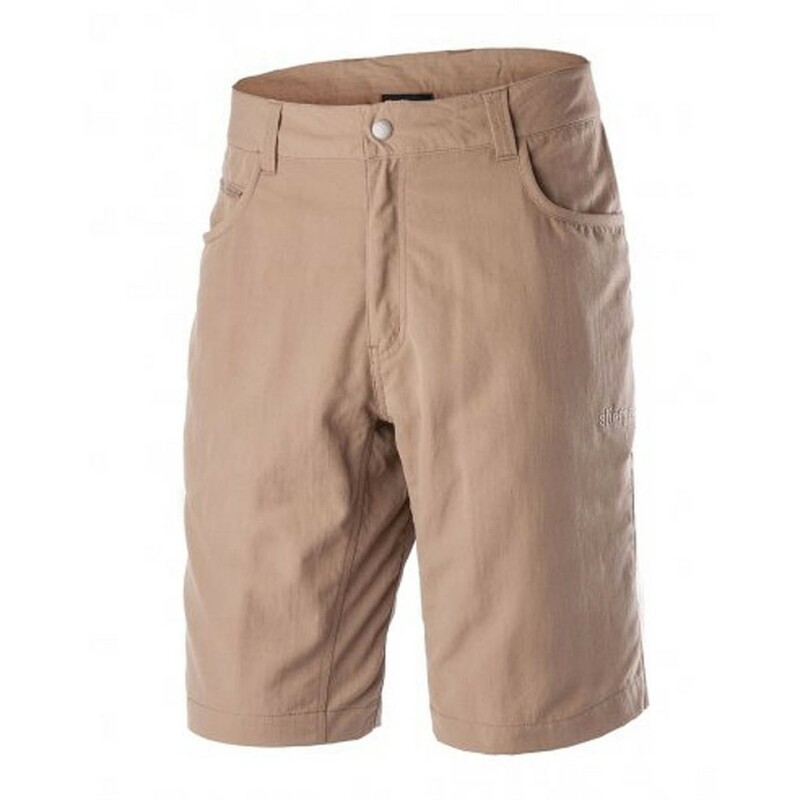 The shorts are made from a combination of two different materials: the seat, waistband and front of the thigh areas are hard-wearing G-1000; the rest are stretch fabric. This makes for a very comfortable pair of shorts which don’t resist movement over scrambly ground. There are lots of nice little design touches: one of the front belt loops has an extra small loop you can pass a carabiner through to attach a piece of gear that needs to be close to hand. There’s the customary little leather Arctic fox adorning one of the thigh pockets, which has a small inner stretch pocket that will take a mobile phone. The other thigh pocket is smaller and will take, for instance, a GPS unit. Both have press-stud fastenings. There are also two zipped hip pockets which are good and roomy. The shorts have no rear pockets. The back of the waistband is cut a little higher than the front to give better comfort when wearing a rucksack. The Abisko shorts are a well thought out item that will suit those tackling technical routes and hillwalking looking for top comfort. 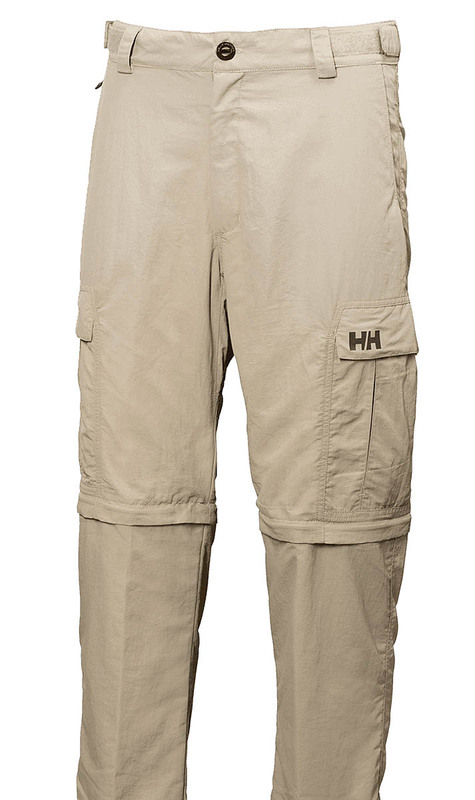 The Helly Hansen shorts are the odd ones out in the test as they’re actually walking trousers that have zip off lower legs to convert them into shorts. In shorts format, the legs are cut fairly long, almost down to the knee. The two hip pockets are mesh and the right-hand one has half of the pocket accessible via a zipped opening, so you can keep your wallet or mobile phone safe. The Jotun also has two rear pockets. There are thigh pockets on each leg with popper closures. Each lower leg can be detached by unzipping, though the bottom of the leg wasn’t wide enough to slide over boots, so we had to remove our boots to get the legs off. One nice design feature is that the leg zips are colour coded: blue for left and red for right, so you don’t have to puzzle which leg goes on which. The waistband has two elasticated sections that fasten with Velcro, so you can tighten the waist without using a belt, though the trousers do have belt loops. 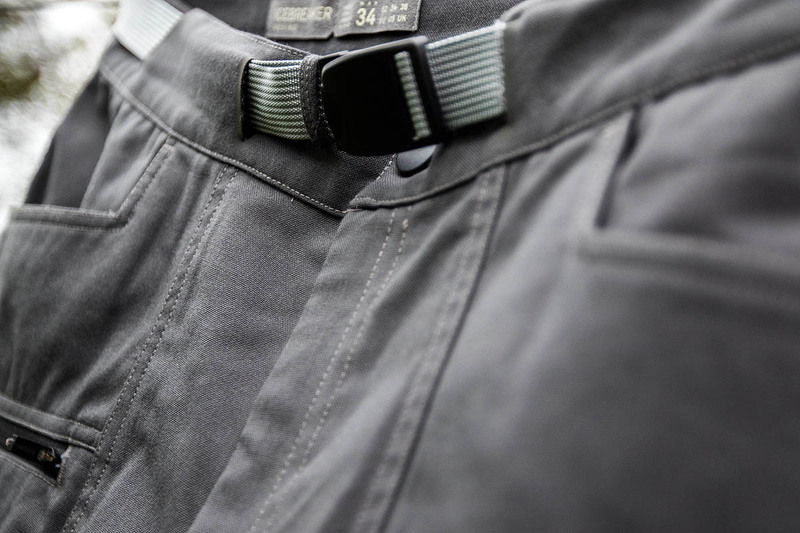 The Helly Hansen trousers have 50+ UV protection rating. It may seem odd to make shorts out of wool when you’re likely to be wearing them on warmer days, but the Icebreaker pair, which have 70 per cent merino content, were barely any warmer than other pairs, though they are weighty, and the merino carries a pretty hefty price tag. In use, they were comfortable and the merino helped keep any nasty odours to a minimum when used over repeated outings. The Compass Shorts have two unzipped hip pockets and a zipped pocket below the right-hand one, about the right size for a mobile phone. There is also a small back pocket with a zip. The Icebreaker shorts also come with a webbing belt. The quality of the shorts is very good, with nice finishing and triple stitching on side seams and hems. The garment feels like it will give years of service and that, with the quality of manufacture and materials, goes some way to justifying the Compass Shorts’ high price. If the Icebreaker shorts use an unexpected material to keep you cool, the Páramo Maui II have a more conventional cotton as their main fabric. The Parameta A Cotton+ in the shorts is designed to dry rapidly, aiding the walker’s cooling. The Páramo shorts have a ripstop pattern in the fabric, and feel strong and well made. There are two mesh-lined hip pockets without zips, and two large cargo pockets on the thighs, with twin button fastening. There are two back pockets with zips too. The waistband is partly elasticated and the Maui II shorts also come with a webbing belt and there’s a hanging loop at the back for drying them. Within one of the cargo pockets is a ‘secret’ zipped compartment for keeping your valuables in. The shorts offer UV protection of 50+. All in all, this makes for a comfortable pair of shorts, aimed mainly at travellers in warm climes, but we found them equally at home on the UK hills on warmer days. There’s no restriction on movement when stepping up. The Royal Robbins shorts come in the brand’s Supplex nylon, which feels like cotton but dries more rapidly. The Backcountry is cut shorter than many in the test, and are quite loose fitting round the leg, making for a cool feel when out on the hill. 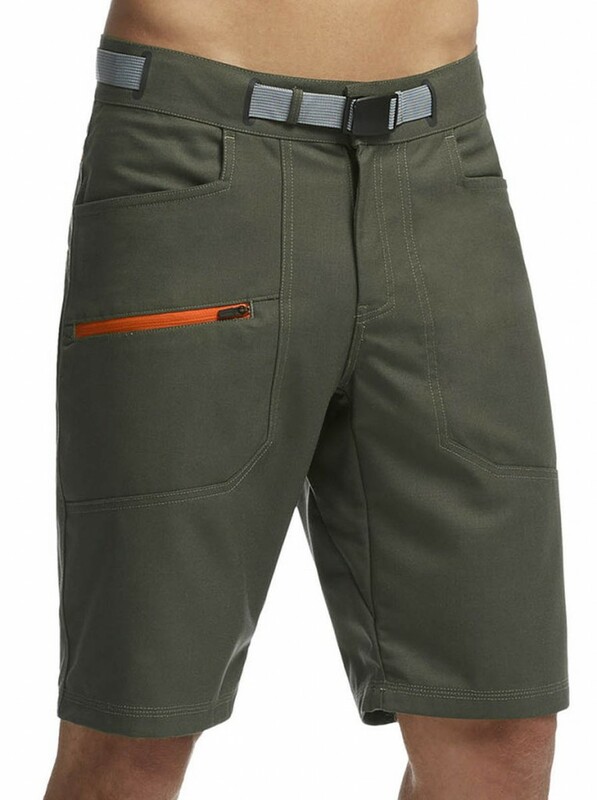 There are two mesh-lined hip pockets, and twin cargo pockets on the front thigh area, with Velcro-fastening flaps. The right-hand one also has a zip. 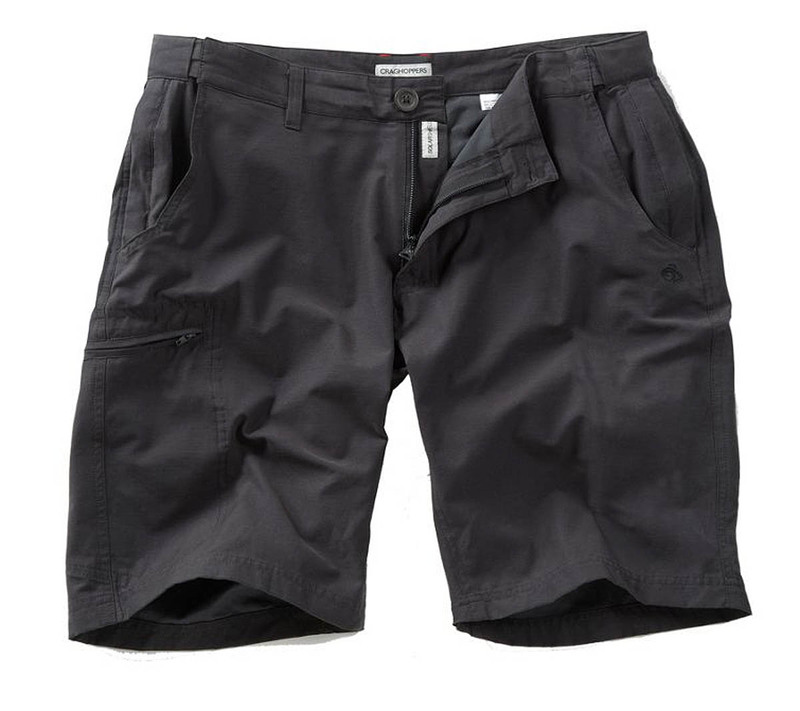 The Backcountry Short also has two diagonally opening pockets, both of which have a Velcro strip for fastening. These form part of a double-layer area at the rear, for extra durability. An elasticated waistband makes the Royal Robins comfortable in use and they come with a built-in webbing belt. They also have 50+ UV protection. These shorts will appeal to walkers who prefer a slightly shorter leg. As with many in the test, though designed with trekkers in mind, they were comfortable on the hill in a British summer. The Lukla shorts are conventionally styled, with two open hip pockets, the right-hand one of which has a smaller zipped compartment big enough for a mobile phone or wallet. There are also two unzipped patch pockets at the rear. The Sherpa shorts were comfortable, and didn’t impede movement when stepping up. The fabric dried quickly after a quick summer shower. 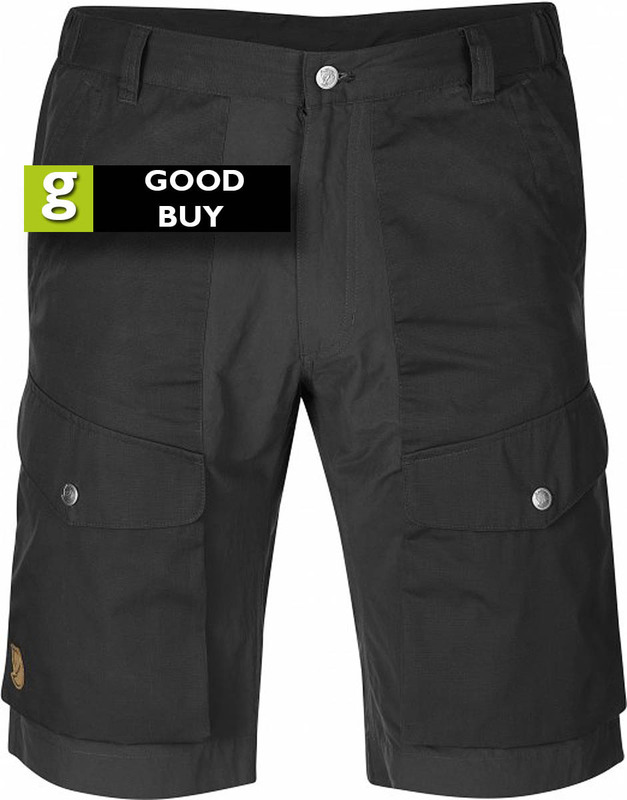 The Lukla shorts were among the lighter pairs in the test and will work well on the trekking trail. They performed fine on the UK summer hills too. Their ripstop pattern should also help durability. 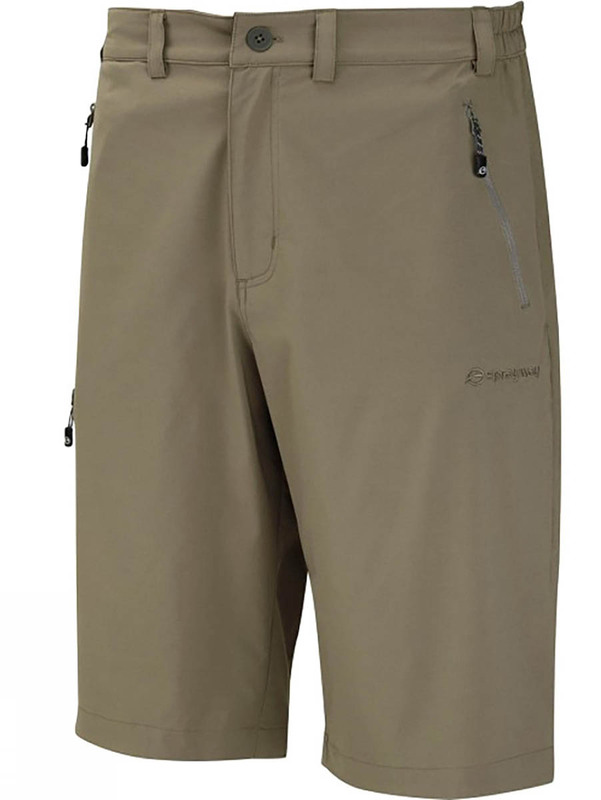 The Sprayway shorts are conventionally styled, fairly long in the leg and are lightweight. The fabric, which dried quickly, has a slight stretch which helped eliminate movement restriction when stepping up on scrambly routes. The waistband is part elasticated and is lined throughout its length with soft polyester microfleece fabric, which makes for a comfortable feel though it was a little warmer than a conventional waist. The Compass has two hip pockets, both with zip closures, plus a single rear mesh-lined pocket which has Velcro closing. There’ a mesh-lined zipped pocket on the right thigh too, and within the shorts just below the waistband is a little hidden mesh pocket, big enough for a set of keys. The shorts have UV protection to 50+. The Compass Short was comfortable on the hill and would also make a useful addition to the kit for trekkers in warmer climates. These shorts from The North Face are made from stretchy Apex Aerobic shell fabric and are fairly long in the leg. The stretch material is quite body hugging and the shorts feel good on the hill and didn’t impede movement when stepping up on scrambly sections. The design is simple, with twin, zipped hip pockets and one zipped pocket on the right thigh, picked out with a contrasting red zip. All are mesh lined. The waistband is lined with soft material and the shorts also come with an elasticated belt. One of the belt loops also has an extra reinforced section for clipping in a carabiner for gear. The Speedlight shorts were quick drying too and were comfortable in use. The stretch, technical fabric also wicks well when you’re working hard uphill. The North Face shorts are designed with hillwalkers in mind and they worked very well on the UK summer uplands. 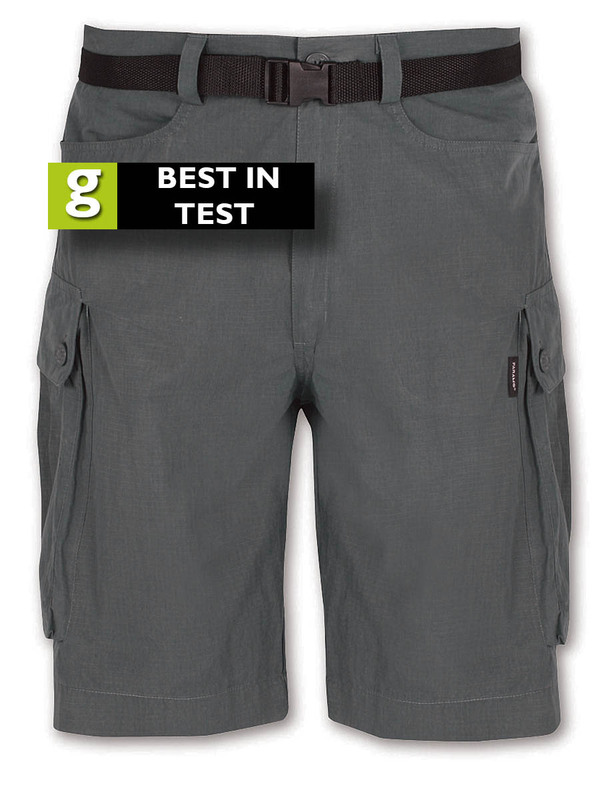 All of the shorts in this test did the job: keeping the wearer comfortable on the British hills in warmer temperatures. A large number are a dual purpose trekking and hillwalking design, so you can double up using them on that overseas holiday as well as when you hit the UK countryside. Top score went to the Páramo shorts, which are fine for tootling about on a trekking trip but were also great performers on our trips into the hills. A very close second were two Scandinavian designs from Didriksons and Fjällräven in equal second place. 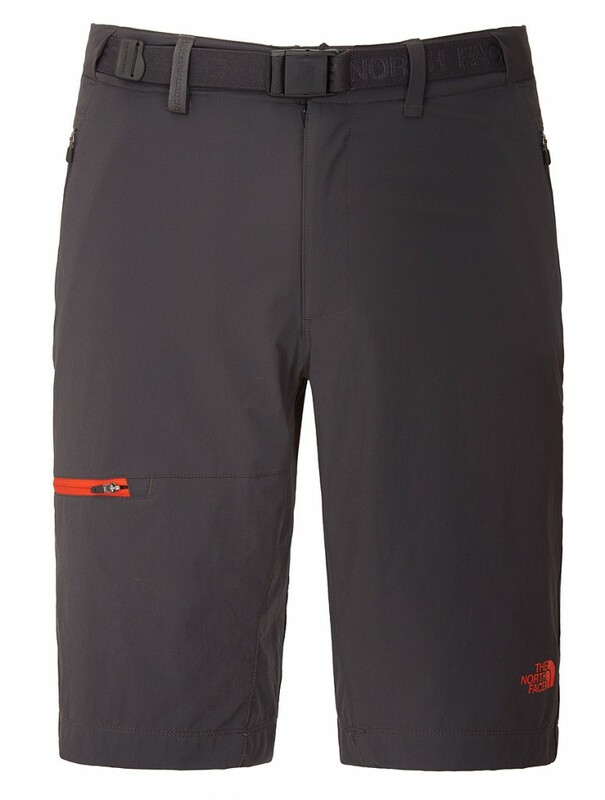 The Didriksons pair are technical shorts that work very well when tackling difficult routes, and are excellent quality. We liked the slightly retro styling of the Fjällräven shorts, which conceals an advance design blending stretch panels with hard-wearing polyester and cotton ones. Quality was very good. Of equal quality was the Icebreaker Compass, and its merino blend worked surprisingly well, but the price tag will be a major hurdle for many. Many of the conventional shorts around £40 represent good value for money and will perform in technical situations on the hills and in the countryside as well as on those warm overseas trips. Which ones are best for you will depend on the use you want to put them to and your preferred style.